Trying to decide which Scalex tool is right for you? Take this short quiz to help you decide! Choose the scenario that best describes your needs. If you are still unsure or need further clarification about features or how any of our tools function, please contact our customer support department at 1-800-653-3532 ext. 519. 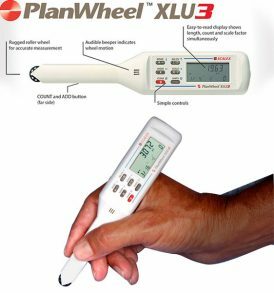 The PlanWheel XLU3 is the perfect tool for taking scaled digital measurements from blueprints, architectural plans and maps. Just select the built-in scale factor to match the plan and roll the PlanWheel. The measurement is displayed instantly. This stand-alone version offers all the same great features of the PlanWheel XLU3 without the computer interface option. The PlanWheel SA2 is the perfect tool for taking scaled measurements from blueprints, plans and maps. Just select the built-in scale factor to match the plan and roll the PlanWheel. The measurement is displayed instantly. Portable, uses two AAA batteries (included). All new version! Interface the PlanWheel with your estimating software without the interference of a cumbersome cable. 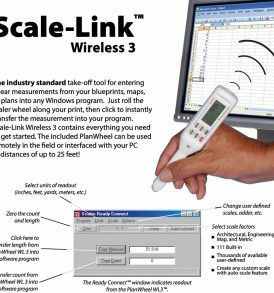 The Scale-Link Wireless 3 includes the PlanWheel WL3, Charging Cradle with USB Cable, Scalex Ready Connect Software, Software Guide, Rechargeable batteries (2 AAA) and a Protective Case. 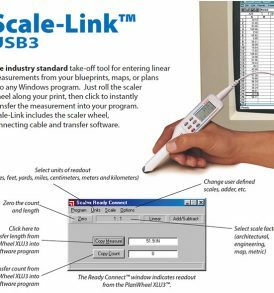 Scale-Link USB3 is the original and industry standard computer-input plan scaler. 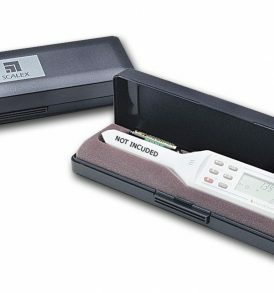 Includes: PlanWheel XLU3, Scalex Ready Connect software, Software Guide, USB cable and Protective Case. Specially designed for all models of the PlanWheel and MapWheel digital measuring tools. Made of high impact ABS, this rugged case provides the protection required on the job. With a hot-stamped Scalex legend and flocktex interior, the case can also hold an extra set of batteries. Software to transfer PlanWheel measurements into any Windows program using your computer’s USB port. Ideal for use with spreadsheets such as Microsoft Excel, as well as all construction estimating software programs. 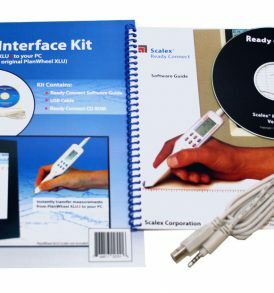 Includes Scalex Ready Connect Software CD, 8 foot USB Cable, and Software Guide.